This small Petit Corona is the modern reincarnation of Partagás Half a Corona which was developed by Melbourne Hart & Company and popular during early 20th century. As soon as I light it up, I can taste dominant coffee, leather, grass and wood notes followed by cedar, citrus, cream, spice, tobacco, nut, cocoa, slight hints of chocolate and honey flavours. I am astonished that its blend is quite complex and delicate despite of the size. Such a great cigar for fast paced modern lifestyle! No problem! I found that it is one of the greatest quick smokes that I've ever had! Good review, Knight. I am looking for good quality, short smokes. Looks like it’s worth giving this one a try. I know you really like the Connie A, too. Are they pretty similar? Wait, I guess I can just read your A review. Thank you for reading my humble review! To be honest, they are two different Upmann cigars in terms of flavor. HC shares with the elements of Mag 46 mostly whereas Connie A has its own class. Between two cigars, Connie A definitely outclasses HC but it doesn't necessarily mean that HC is a disappointing cigar. 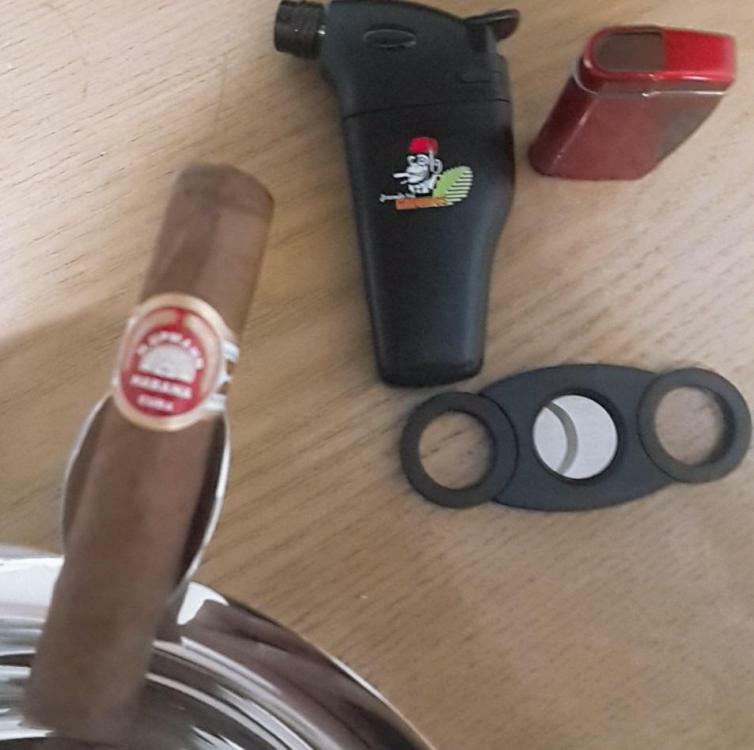 I strongly believe that HC deserves to be one of the greatest quick smokes like Partagas Shorts 😄!